You have just been granted asylum in Sweden – how does it feel? It feels very good! I have waited a long time for this, and it was a long fight until I finally got asylum. It’s a big relief. I want to say thanks to all the comrades and friends, thank you for all the help. Why was it necessary for you to leave China in the first place? The police arrested me and held me for nearly 30 hours without sleep. After that, they continued to monitor and harass me. They wanted to use me as a spy, to survey what CWI were doing in China. I didn’t want to be a spy, and I wanted to continue to fight for workers’ rights and socialism, but under the circumstances it was very difficult to continue my political activity. So I tricked the police! I pretended to cooperate. If they found out, I would be put in prison. Eventually they agreed for me to go to Hong Kong, but instead of reporting back to them, I was able to get away. So you decided to leave China? Yes. 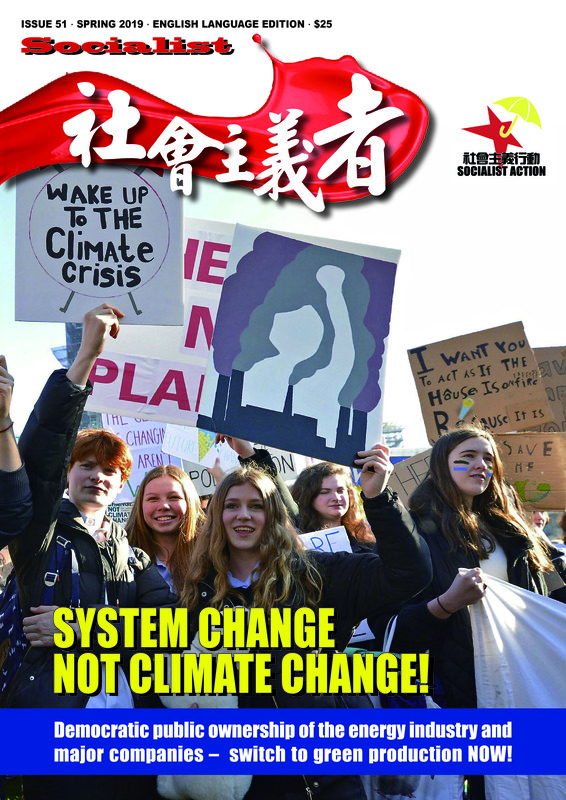 If I left China, I would still be able to write articles and actively support our magazine “Socialist” and the chinaworker.info website. And I could fight for workers’ rights in other countries. I can learn from the working class movement and the CWI’s sections, how to organize struggles and so on, like in Sweden and in Hong Kong. How will you continue to fight for socialism, for democracy and workers’ rights now you have been given asylum? I can more openly talk about myself and what I’ve been through, and about the situation in China. Because people in China can’t so easily talk up for themselves due to the repression and censorship. I can also be active with socialists from other countries, and learn from their experiences. I can help to build the CWI and socialist ideas. Now I have asylum, I hope to travel. The workers’ struggle is international. 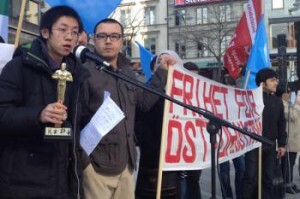 How can international campaigning help workers’ struggles in China? 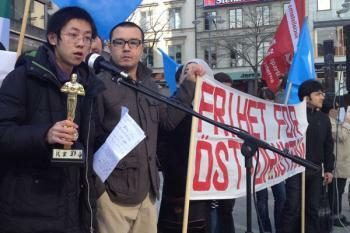 For example, we had a solidarity campaign here in Sweden for the Hualong workers’ strike in Taiwan. And not just in Sweden, in many countries. The Hualong factory workers’ representatives got a phone call from their government, saying they should stop with the international solidarity campaign. This showed the government was under pressure, because of the international solidarity for the workers. The same international campaigning methods can be used for workers in China. The Chinese government has a very big economic connection to western countries, so an international solidarity campaign can put pressure on the Chinese government. From our side, workers in China can get encouragement from international working class unity, solidarity and struggle. What future do you see for socialists and especially the CWI’s supporters in the unfolding mass struggle in China? Right now in China there are very many mass struggles, due to the big wealth gap in the society. A lot of people can’t get a job because the Chinese economy is slowing down. It’s like in other parts of the world; the US, Europe, the Middle East, where we’ve seen mass struggles after the capitalist economic crisis begun. It’s the same in China, but the difference is that China is the biggest factory for global capitalism. China has a population of 1.3 billion people, more than half of them living in the cities. It’s the biggest working class in the world. Just a few days ago, there was a revolt in a Foxconn factory that makes the iPhone 5. Tens of thousands work there; it’s a very big factory. The ‘riot’ started after security guards abused a worker. Other workers got angry and responded by beating the security guards. Over all, 2,000 workers were involved in what was really an action to teach the brutal guards a lesson, and it continued for several hours. In the manufacturing industry, workers get regularly abused by security guards and the management. So there will be more of these revolts and more strikes in those factories, no doubt. There are also struggles over environmental issues. The government is seizing land from the farmers in order to build buildings and properties. As socialists, it’s our job to push these struggles in the direction of socialism. A revolutionary situation can come about in China. We must try to build a mass workers’ party. The workers and the youth need a party of their own, and the correct ideas to use as a weapon in the struggle. Our supporters have a very important role to play in upcoming mass struggles. But they will also face many challenges. 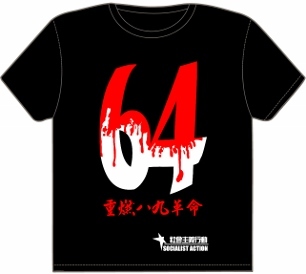 For example, there have been anti-Japanese demonstrations all over China right now, as a reaction to the Japanese government’s and right-wing nationalists’ claim to disputed islands. And some of these protests have been very nationalistic, even racist. There is a lot of anger among the Chinese masses, but we have to show that nationalism and racism isn’t the way to go. We must fight militarism and imperialism – wherever it comes from – with working class internationalism and socialism, so that we all fight against the ‘1 percent’ instead of being divided. When the revolution comes to China, I will join in! In the mean time, I will do my best from here in Sweden to support the workers and fight for socialism in China and internationally.